Motorbike, Car Race and Rally Marshal, Rally Radio Operator. 'World Host' accredited Ambassador at Liverpool Cruise Terminal and Culture Liverpool. Subaru Driver. IT Analyst by day to pay the bills. European Celt. Social Democrat. All views in my blog are personal and have no connection to the organisations I work or volunteer for. 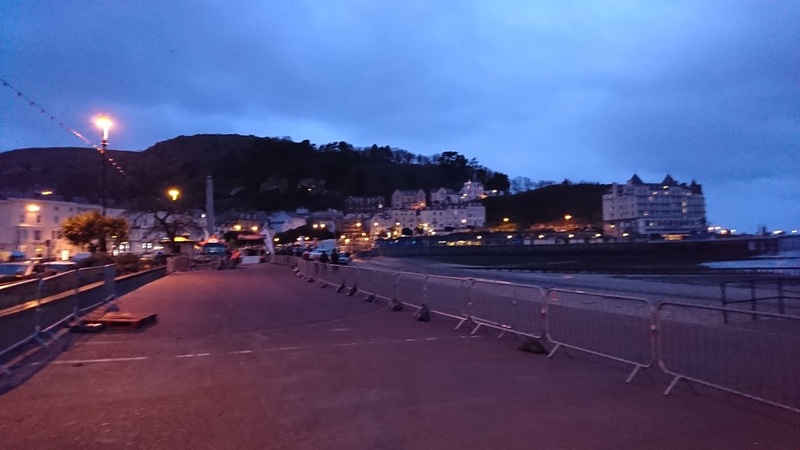 An early start meant leaving Liverpool at 4am to get to Llandudno to marshal on the start line for this year's Cambrian. I marshalled in stage last year but with very different conditions I thought better of taking a rear-wheel drive, low-slung sports car into the forests this year. The weather on the way to Llandudno was warmer (4c not -1c) but wetter than forecast, but it was dry when I got there, with a brisk wind coming in off the sea. I busied myself putting last bits of safety notices up before the competitors starting arriving and at 7:30 the first car left the ramp and the 2017 BTRDA championship was underway (or so we thought) - https://www.btrdarally.com/ - I was on the exit gate getting the cars safely off the promenade, onto the road, and heading off for the 30 mile drive to SS1 in the Alwen Forest. All 112(?) cars were away by 9:20 - shout out to the organisers for the bacon barm cake and coffee that James brought round - and it was time to stand down for a few hours. I was staying for the day, so decided to have a power nap in the car, and then planned to go for a walk around the Great Orme before regroup at 3pm to prepare for the cars finishing. As High Tide was at 10:54, and with some waves getting a bit close to topping the prom I decided to stay in the car until the sea receded a bit in case I needed to relocate, so it was around 11am that I heard the distinctive sound of rally cars unexpectedly reappearing. So it was back on with the jacket and hi-viz to see what was going on - the rally was cancelled due to the snow and ice, and all cars were heading back to us to get a finishing time, and hand in their damage reports. There were only 3 of us around initially so we were a bit busy until reinforcements quickly arrived, and we managed to get all cars checked back in by 12:30. We all quickly got the rally furniture, start/finish ramp, safety barriers etc dismantled and by 2:15pm there was nothing else for me to do except head for home. The rain had returned by then, and with road works near Deeside it was 5pm by the time I got back. Chatting to the drivers it was clear that conditions in the forest were bad, but as I was on the coast all day I didn't realise how bad it was until videos started to appear last night. 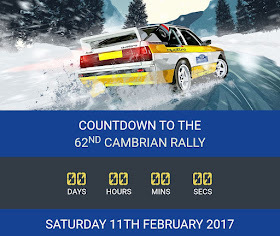 The organisers made the only decision possible, the cars, even those with 4-wheel drive, were struggling and simply sliding on the ice which isn't safe for the competitors, marshals or spectators. The other two stages were even worse apparently and marshals couldn't even get to their posts on one of them. With hindsight, the cover photo for this year's rally (top of this blog) was quite prophetic..